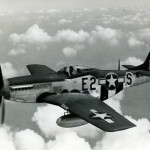 Now a quintessentially American icon, the P-51 Mustang had very English origins. That famous plane, used by the Eighth Air Force over western Europe to defend bombers, the ride of the Tuskegee Airmen, was displaced from the front of the US air arsenal only when jets arrived. But before it was replaced it also served in the North African, Mediterranean, Italian and Pacific Theater in WWII, and well into the Korean War. However, the first of these planes were built by North American Aviation (NAA) in 1940 to fill an order for the British Purchasing Commission. 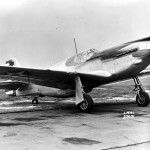 The commission had asked for P-40s for the Royal Air Force, but rather than licensing from Curtiss, NAA proposed an upgraded design. 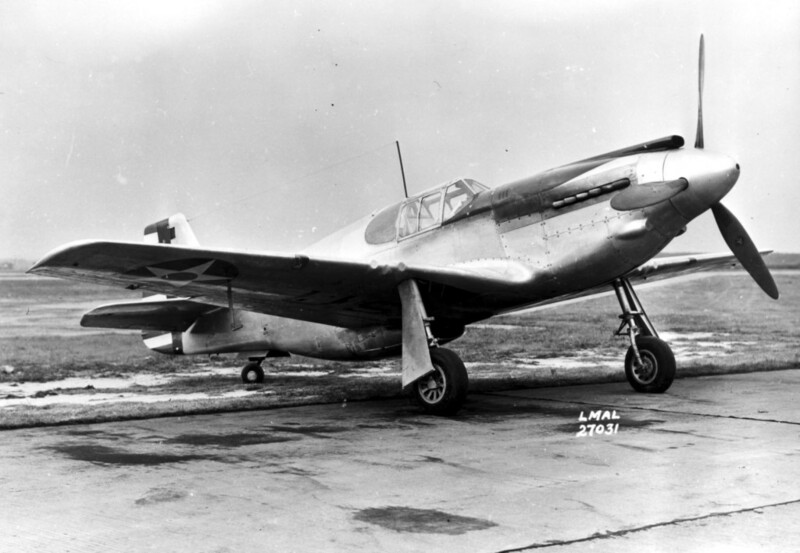 The purchase and delivery of the planes came under the famous Lend-Lease agreement, and they were named Mustang Mk1. The plane was meant to be a tactical-reconnaissance fighter and bomber to be used a relatively low altitudes. The range on the planes was much longer than the planes the British were using. The Allison engine in the original planes had a single-stage supercharger. This limited the power of the engine at high altitudes. After a test flight, Ronald Harker of Rolls Royce was impressed with everything about the plane but its power-plant. He suggested that the Merlin 61, which was being used in the latest Spitfires, would do very well in the aircraft, and even made some rough measurements of the engine compartment to verify that it would fit. The Merlin 61 was designed with a two-stage intercooled supercharger that increased horsepower and operational altitude and speed. The heavier engine gave engineers a chance to add an additional fuel tank behind the pilot, that balanced the center of gravity and provided longer range. The Merlin 61 was licensed to Packard to build in the US as the V-1650 Merlin. Packard was building and shipping them to England to supplement production there. Addition of the two-stage supercharger had been made for use in the British Wellington VI bomber, and was later used for Spitfires as well. After encouragement, NAA switched the power-plant in the Mustang MK1 to the Merlin, and the plane was made for the USAAF as well—as the P-51 Mustang. Although much of the power-plant engineering was British, the critical two-stage supercharger was French, and the Americans added a new alloy to the ball bearings that prevented wear and decreased maintenance. The amazing aerodynamics of the plane—the airfoil of its wings has very low drag at high speed—were all American. Much of what you see on the outside of the iconic American plane is American—but inside you’ll find some British and a little French. Like much of the rest of the story of WWII, cooperation among allies was the key to victory. The Logo of North American Aviation, which was a subsidiary of General Motors, and later became part of Boeing. Their plant was in Inglewood, CA. 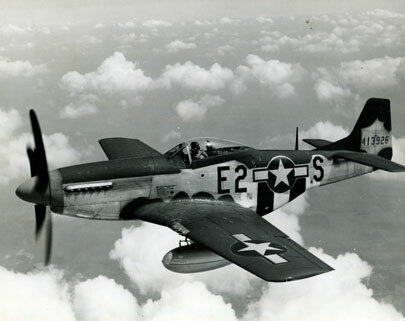 A P-51 Mustang in flight. From The National WWII Museum. This is a picture of one of the first planes delivered from NAA to the RAF. From Wikimedia Commons.